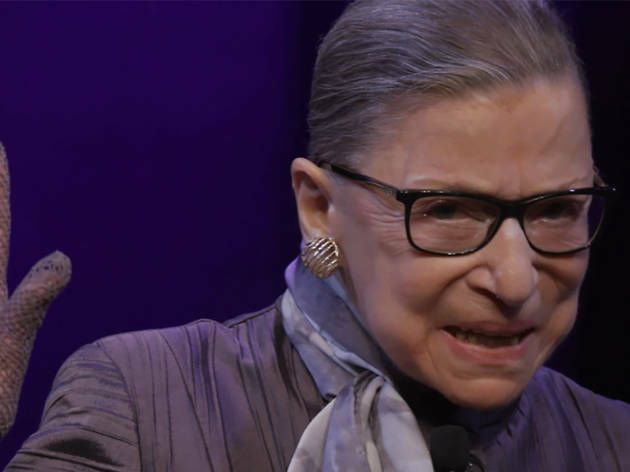 Get to know the octogenarian Supreme Court Justice behind your favorite Kate McKinnon impression, in a doc that makes a watertight case for her importance. The serene yet forceful presence of tiny US Supreme Court powerhouse Ruth Bader Ginsburg – now 85 years strong – is a spectacle in itself, played to the hilt in Julie Cohen and Betsy West's you-go-girl profile. Ginsburg does push-ups! She appears in an opera production! She watches Kate McKinnon’s SNL impression (‘Oh, that’s a Ginsburn…’) with a rock star's cool! Upbeat and celebratory, ‘RBG’ sees no reason to throw shade in Ginsburg’s direction, not that much exists anyway. Still, one of the unquestionable highlights of the film comes not from the mouth of the Associate Justice herself, but the sight of diametrically opposed Senators Joe Biden and Orrin Hatch, both starry-eyed at her 1993 confirmation hearing, charmed by her lucid, forthright liberalism. It feels like science fiction. Ginsburg’s landmark 1970s litigation on behalf of women and gender rights is the meat of the film – its justification beyond her late-in-life ‘notoriety’ on mugs and t-shirts. 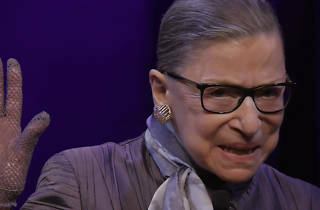 Smartly, ‘RBG’ deploys aural recordings of these cases, in which we can hear the poise of a woman used to persuading men of their need to evolve in the most delicate, diplomatic way possible. As a Jewish woman at WASPy Harvard, Ginsburg carved an identity out of her exoticism, earning her right to be heard through sheer intellectual heft. So call it unexpected (and stirring) when the movie makes a lunge into romantic territory, exploring her 56-year-marriage to the late Martin Ginsburg, himself a prominent lawyer and peer but, by all accounts, a forward-thinking mensch who loved his wife's mind. Finding reciprocity – in the eyes of the law, your partner, your colleagues – is the essence of this documentary, one that comes at a moment that desperately lacks it.